Q: Can a nurse ever draw blood from a PIV after it has been in situ? Or should that only be done at the time of insertion? A: Yes, a nurse can draw blood from an existing peripheral IV and at the time of insertion. But as simple as it sounds, there are several factors to consider. Blood draw during the insertion of a PIV catheter (not direct venipuncture for blood draw) has been associated with higher hemolysis rate. A 2009 study by Halm and Gleaves showed the hemolysis rates of samples obtained from new PIV is 12.8% to 49%. and 24% in samples obtained from an established PIV. A 2005 study by Dugan showed higher hemolysis rate of 60% when a 22g PIV catheter is used. A 2014 study by Lippi et al showed a hemolysis rate of 30% when blood is collected from PIV inserted distally from the 2 media basilic and cephalic veins. A 2014 study by Williams et al showed that when an 18g PIV is present in a patient, the anesthesiologist has the highest likelihood of obtaining a blood sample via aspiration while under general anesthesia than 16g or 20g catheters. A 2011 study by Straszewski et al discussed the use of separate direct venipuncture for blood sampling resulted in a 2% hemolysis rate vs 6.7% from samples obtained from an existing PIV, suggesting blood obtained by direct venipuncture is preferred. The 2009 study by Halm and Gleaves stated that blood samples should not be collected when new PIVs are started or from established PIVs. 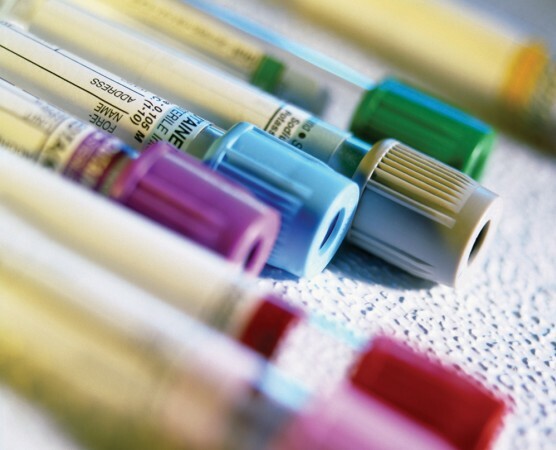 In general, blood samples for lab tests should be drawn via direct venipuncture, preferably using a vacutainer system. Exceptions include patients receiving thrombolytic agents or patients at increased risk of bleeding, or in a emergency situation with limited venous access knowing that hemolysis will still occur. If blood is obtained from an existing PIV with or without IV fluids infusing, the nurse must be knowledgeable with the collection procedure, the amount of waste, the proper blood collection tubes, and collection sequence. No studies on the effect of blood collection, whether upon insertion or indwelling, on the catheter/vein. No studies taking into account the age of the catheter (dwell time) when obtaining blood samples from existing PIV. Now of course we will assume that if drawing from an existing PIV, there’s good enough blood return that one can obtain blood samples from it. Always check your institution’s policy or EBP guidelines, many have chosen not to draw blood samples during IV starts or established PIVs. Frey AM. Drawing blood samples from vascular access devices:evidence based practice. J Inf Nurs. 2003;26(5):285-293. Zengin N, Enc N. Comparison of two blood sampling methods in anticoagulation therapy: venipuncture and peripheral venous catheter J Clin Nurs. 2008;17(3):386-393. Ortells-Abuye N, Busquets-Puigdevall T, Díaz-Bergara M, Paguina-Marcos M, Sánchez-Pérez I. A cross-sectional study to compare two blood collection methods: direct venous puncture and peripheral venous catheter. BMJ open. 2014;4(2):e004250. Infusion Nurses Society (2011). Infusion Nursing Standards of Practice. Journal of Infusion Nursing, 34(1S), S37. Halm MA, Gleaves M. Obtaining Blood Samples From Peripheral Intravenous Catheters: Best Practice? Am J Crit Care September 2009; 18:474–478. Dugan L, Leech L, Speroni KG, Corriher J. Factors affecting hemolysis rates in blood samples drawn from newly placed IV sites in the emergency department. J Emerg Nurs. 2005 Aug;31(4):338-45. Lippi G, Avanzini P, Aloe R, Cervellin G. Blood collection from intravenous lines: is one drawing site better than others? Lab Med, 2014;45:172-175. G W Williams, L Lindsay, M Koronfel, C . Evaluation of the Use of Upper Extremity16, 18, and 20 Gauge Peripheral Intravenous Catheters to Obtain Intraoperative Blood Samples under General Anesthesia. The Internet Journal of Anesthesiology. 2014 Volume 33 Number 1. Straszewski SM1, Sanchez L, McGillicuddy D, Boyd K, Dufresne J, Joyce N, Wolfe R, Lee AW, Fisher J, Mottley JL. Use of separate venipunctures for IV access and laboratory studies decreases hemolysis rates.Intern Emerg Med. 2011 Aug;6(4):357-9.